Below is a Press Release from the ruling All People’s Congress (APC) announcing that the President of Sierra Leone Dr. Ernest Bai Koroma will not be participating in a pre-elections debate. According to the release this will not happen because of Maada Bio’s behavior during last weeks political rally. Bio apparently blocked the President’s convoy. You can read about that incident here but see the release below for more information. The last time there was a presidential debate in Sierra Leone in 2007 everyone turned up except for then Vice President Berewa who was the SLPP presidential candidate. The Sierra Leone Association of Journalists had scheduled this year’s debate for October 30th. That may no longer happen or perhaps they might go ahead without the president as they did without Berewa then. The public is hereby informed that the unwarranted and unlawful obstruction of the presidential motorcade by the SLPP presidential candidate Rtd. Brig. Julius Maada Bio demonstrated total disregard for constituted authority and the rule of law. The orders of the police were brazenly disregarded by Rtd. Brig. 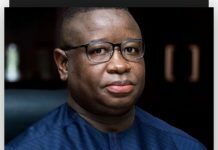 Julius Maada Bio, but for the timely intervention of H.E the President an ugly confrontation with the police would have led to a breach of our hard won peace. 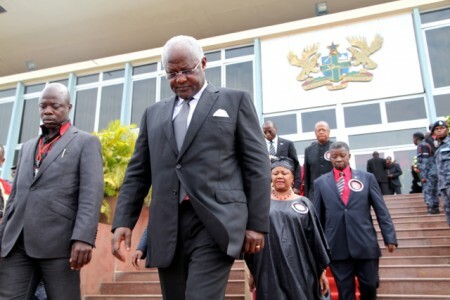 President Koroma demonstrated maturity and statesmanship and ordered his convoy to stop. This magnanimous action led to the avoidance of lethal confrontation between the presidential bodyguards and the SLPP flag bearer’s entourage. In view of the above, the APC National Presidential Campaign Committee has accordingly advised H.E the President Dr. Ernest Bai Koroma not to share the same platform in the debate scheduled 30th October, 2012 with a man who has a penchant for violence and disrespect for law and order. The National Campaign Committee regrets any inconvenience this cancellation may cause the general public. However invitation for H.E’s participation in similar presidential debates will be considered on a case by case basis. I believed, the Ruling party, APC administration made a very wise decision for recalling the Presidential debate scheduled for October 30th, 2012. The recalling or cancellation of the debate is due to security reasons that, the commencing of the debate could under mine the country’s security if Maada Bio and his thugs outburst with violence. I believed the people of Sierra Leone do not want any other political or tribal confrontation that could lead to horrifying violent. Personally, in my opinion, the people of Sierra Leone should not encourage or allow any active or retired ex-combatant-military ruler in Sierra Leone. Sierra Leoneans should look back and learn a lesion from the 11 years old brutal civil unprecedented war. The people of Sierra Leone should not ever allow any tyrant individuals or groups to ever be a commander in Chief of that small poor nation. Every individual deserve to be treated with respect, mostly our public leaders, if the opposition party failed to recognized the constitution of the land and respect it rulings like Maada Bio and his affiliates. The people of Sierra Leone should be very careful about the decisions of electing such a non law abiding, tyrant and war hunger candidate. Is it that the president is afraid of contesting with the fluent Retired Brigadier by simply telling the people of Sierra Leone what he has done for the people of this country?. If for sure he has done what he is claiming to have done then he shouldn’t be afraid to part take in the debate. But i believe it is because of he is not sure of his doings has made him afraid of contesting in a much anticipated debate. This nonsense by APC Operatives against a former head of state who laid the foundation of modern day democracy in Sierra Leone most stop. MAAD BIO derserves respect and honour like the Flag bearer of the APC, Ernest Bai Koroma who is just enjoying state authority because of smooth transition of power. He should also tell his supporters to respect MAADA and stop assassinating the character of a dynamic leader who conducted democratic elections in 1996 and peacefully handed over power to Ex President Tejan kabba. 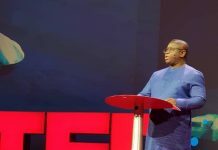 The problem of Ernest and his cronies is that they have embezzled our money and they know MAADA is popular in the South – East and Freetown and even in the North. Maada is surely going to defeat Ernest in the First Ballot. This is their worry. The only hope is to rig this election through violence that is why they have bought $4.5m Arms and Ammo. But I trust the resolve of the people as any attempt will lead to war, so it is good for the International Community to stop the APC from dragging this country to another war. Over the past 5 years APC have pretended to develop the country but in actual fact they have done more evil that good. Surly MAADA will bring them to book for their stewardship. Mr Kamara, you sound more like someone with a hidden agenda, when you mentioned ‘another war. I can tell you that there will be no other war in that country, because people like you who spread false information are already exposed. I also trust in the resolve of the peace loving people of Sierra Leone, they will vote to keep war mongers like you quiet. I write not as a partisan but as one who truly loves and cares about Sierra Leone. Brima Kamara’s statement in which he implicitly (if not explicitly) alludes to war is not only reckless, it clearly introduces a window into someone whose inner core, it appears, is bankrupt of any sense. For the love of God, have you no sense, man? Sierra Leone’s recent history of war, which resulted in the deaths of thousands of our fellow country men and women, should be such that no sane person should ever invoke or imagine the potential of another war in that country. That Mr. Kamara is so callous as to mention war in Sierra Leone –because of a mere election –troubles me but, more so, speaks to the kind of human being that he is. No rational person can interpret that statement as anything other than heartless, if not stupid. The other aspects of his letter are completely devoid of facts. it is not a streatch to say that. 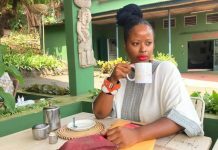 most readers of this page are interested in learning the basis of Mr. Kamara’s claim that the current government has purchased $4.5m in arms and ammo. Facts Mr. Kamara. Nothing imagined. Just facts please. Also, having recently visited SaLone after many years away, I can tell you that what you claim to be pretend development is anything but. Development is happening in Sierra Leone, Mr. Kamara. Real development. Anyone who claims otherwise must be living in the parallel universe of a warped mind. These are, in fact, developments that started during the presidency of Ahmed Tejan Kabbah. This current administration has built on that development. Sierra Leoneans expect that whatever government comes next, be it another APC government or SLPP, will continue on that development of our country. Sierra Leone will continue its march towards being the great country that God has always intended it to be. I, for one, will continue to wish any party that takes over the reigns of government well. I will also continue to call out anyone whose infantile thinking threatens to derail such march. We should be better than the rantings Mr, Brima Kamara espoused in his letter. They have no place in our Sierra Leone. For the record, I am neither APC nor SLPP affiliated. I am a Sierra Leonen. The advice by the APC campaign team to stop the president from taking part in the presidential debate is a wise and timely decision. If Maada Bio can not respect or obey police order, whose order can he obey? WE NEED CHANGE. WE WANT CHANGE. WE ARE READY FOR CHANGE. WE GONNA STAND FOR CHANGE. THIS ELECTION IS GOING TO BE ABOUT CHANGE OF PARTY. IT IS NOT JUST ABOUT WINNING; IT IS ABOUT HOPE AND OUR NEXT GENERATION. WE JUST DON’T WANT A NATION FOR A PARTICULAR FAMILY OR DYNASTY. WE WANT A SIERRA LEONE FOR EVERYBODY. A SIERRA LEONE WHERE MAN IS JUDGE ON MERIT NOT ETHNIC, REGION OR ALLEGIANCE TO A POLITICAL PARTY. WE WANT A FREE SOCIETY FOR EVERYBODY. AND TO ACHIEVE THIS WE MUST BE PART OF THE PROCESS, I MEAN THE ELECTION PROCESS. WE MUST ORGANIZE OURSELVES IN THE CAMPAIGN PROCESS TO SEE THE CHANGE WE SEEK. THIS IS OUR TIME. OUR APC BROTHERS AND SISTERS, THAT YOUR PARTY IS IN POWER, YOU HAVE A SOCIAL RESPONSIBILITY TO PREACH PEACE TO ALL, YOU OWE THIS AS A NATIONAL RESPONSIBILITY, PROVE YOUR LOVE FOR OUR COUNTRY, PROVE YOUR PATRIOTISM. BROTHERS AND SISTERS IN THE SLPP LET US BE HONEST, TRUE TO OUR WORD. HONESTY NEVER FAILS. LET US REECHO THE MESSAGE OF PEACE FROM OUR LEADERS. WE ARE A PARTY OF PEACE; LET US TAKE THIS OPPORTUNITY TO PROVE IT TO THE WORLD AGAIN, BUT THEN MORE IMPORTANTLY, TO SATISFY OUR CONSCIENCE THAT WE HONESTLY BELIEVE IN PEACE. AND THAT WE DO NOT ONLY PROMOTE AND DEMONSTRATE PEACE, WE ARE ACTUALLY SEEN TO BE DOING SO. ANY ONE OF THE TWO BIG PARTIES HAS A CHANCE TO WIN THIS ELECTION. LET US ALL PUSH FOR A LEVEL PLAYING GROUND, SO THAT THE ELECTION RESULTS ARE SEEN BY ALL TO BE CLEAN. WE MUST ALL PREPARE OUR MINDS TO ACCEPT THE ELECTION RESULTS IN THIS RESPECT. AT THE MOMENT, MOST OF US EXUDE A LOT OF CONFIDENCE, IN FACT, OVERCONFIDENCE IN THE POPULARITY OF OUR PARTIES. THERE IS ALMOST A 100% ASSURANCE OF VICTORY IN OUR VOICES. THIS IS NOT GOOD FOR US. WHAT WE NEED TO DO IS TO WORK HARDER, HARDER NOW MORE THAN EVER BEFORE, AND LET US NOT FOLLOW OUR LEADERS IF WE FIND OUT THEY WANT TO PLAY UNDERHAND GAMES, TRICKS THAT HAVE THE POTENTIAL TO PLUNGE OUR COUNTRY INTO CHAOS. THIS IS IMPORTANT FOR US BECAUSE ANOTHER BREAKDOWN WILL SERIOUSLY AFFECT NOT ONLY US, BUT GENERATIONS AHEAD OF US. I HAVE TO POINT THIS ACCUSING FINGER AT THE APC. THE APC IS KNOWN FOR VIOLENCE IN SIERRA LEONE. WHEN YOU WON THE ELECTIONS, PRESIDENT KOROMA IMMEDIATELY WENT TO BURKINA FASO, ONE OF THE COUNTRIES THAT FUELED THE VIOLENCE IN OUR COUNTRY. PRESIDENT KOROMA THEN PURCHASED OVER 5 MILLIONS WORTH OF ARMS AND AMMUNITION, AND ONE OF HIS MINISTERS IS ALLEGED TO HAVE SAID THAT THE WEAPONS WERE MEANT TO BE USED ON THE OPPOSITION. THEN PRESIDENT KOROMA APPROVED A LAW ALLOWING CIVILIANS TO CARRY GUNS, AND NOW WE HEAR APC PEOPLE AND THE POLICE SAYING THAT MAADA BIO IS LAWLESS. ARE THEY UP TO SOMETHING SINISTER? THE T-SHIRT SCAM IS OUT ALREADY, COULD THERE BE OTHER PLANS? HOW ABOUT THE POSSIBILITY OF HIDING ARMS AND AMMUNITION IN PLACES IN THE SOUTH AND THE EAST AND WAKING UP ONE MORNING TO CLAIM THAT SLPP IS ARMING AND TRAINING KAMAJORS TO FIGHT? WE HAVE HEARD FALSE ALARMS OF IMAGINARY KIDNAPS, POLICE PRESS RELEASE ABOUT A BLOCKADE OF PRESIDENT KOROMA’S CONVOY WHICH WAS A NOT TRUE, AND MANY OTHERS. BUT THE QUESTION REMAINS, WHY SHOULD THE POLICE TELL LIES? ARE THEY UP TO SOMETHING? THESE TRICKS WILL WIN MORE SYMPATHY FOR MAADA, AND WE WILL GET MORE VOTES IN THIS RESPECT. PLEASE NOTE THAT PEOPLE WHO WANT CHANGE CAN’T BE STOPPED. WE SAW THAT WHEN PRESIDENT KOROMA WON THE LAST ELECTION. IT DOES NOT MATTER AT THE MOMENT WHETHER HE WON THE PEOPLE’S HEART ON FALSE PROMISES, THE FACT IS THE PEOPLE WANTED CHANGE. AND ALTHOUGH I AM NOT NEUTRAL, BEING A STRONG SLPP SUPPORTER, I CAN SMELL A SIMILAR YEARNING FOR CHANGE, PERHAPS A STRONGER YEARNING FOR CHANGE IN THE AIR. 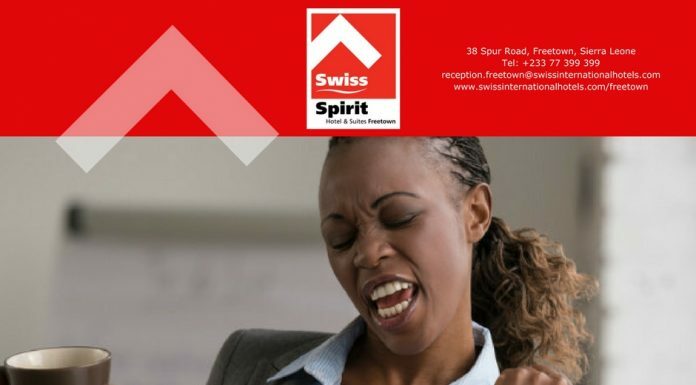 WHAT OUR APC COLLEAGUES NEED TO DO IS TO WORK HARDER TO REVERSE THE COURSE OF THE PREVAILING WINDS IN THEIR FAVOUR, AND NOT PULL TRICKS TO STOP THE WIND. AN ATTEMPT TO BLOCK THE WINDS WILL MAKE THE PEOPLE ANGRY. THE POLICE SHOULD NOT PLAY A ROLE IN THIS. THE POLICE IS MEANT TO REMAIN NEUTRAL, AND TO SERVE THE WINNING PARTY. SO MUCH MORE, BUT I CAN’T BORE YOU ANY LONGER. THANKS. We note with deep disappointment the withdrawal of Mr. Ernest Bai Koroma the APC presidential candidate from the SLAJ organized debate scheduled for 30th October, 2012 on very flimsy grounds. Our disappointment is predicated on the fact that Mr. Koroma’s withdrawal has robbed the people of Sierra Leone an opportunity to scrutinize his leadership to make an informed decision on his political future on November 17th. Finally, we note that Mr. Koroma’s withdrawal from the debate is like a student withdrawing from a critical mock final exam on grounds that one of his fellow students allegedly had a disciplinary incident with the subject master. This kind of student is most likely an unprepared student who is likely to flunk the exams.